The downward spiral of the economy since the last quarter of 2007 has taken away jobs and shuttered businesses across the country. However, the economic cycle of growth and retraction does not mean that the economy moves indefinitely towards the latter. 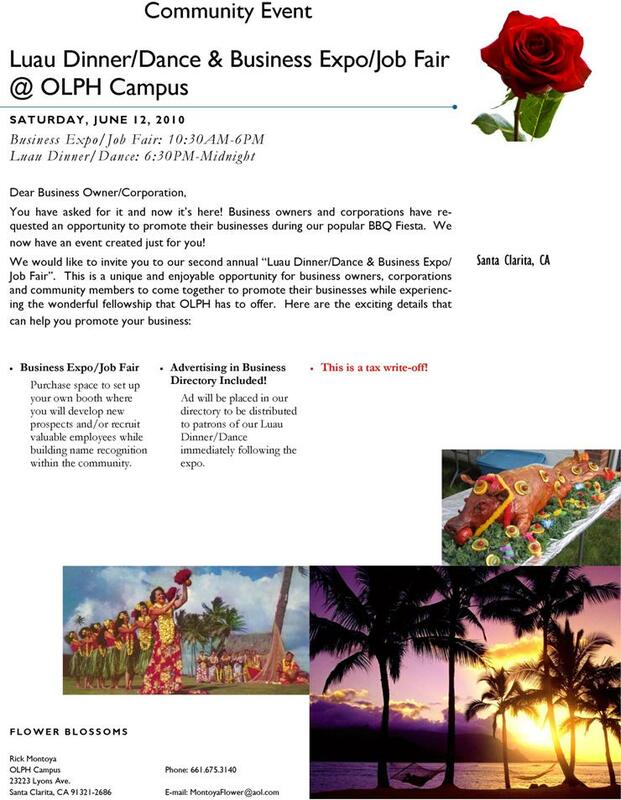 The Luau Dinner/Dance and Business Expo/Job Fair at the OLPH campus in June 2010 aims to jump-start economic growth in Santa Clarita. Local business owners and corporations will get the opportunity to promote their businesses with the community. Call Rick Montoya at 661.675.3140 or follow us on Twitter (@FlowerBlossoms) for more details.